For long distance towing and other roadside assistance, trust the experts at A 1 Willie’s Car Care located in Fort Pierce, Vero Beach, Indiantown, Stuart and Sebastian, FL for your convenience. We provide quality service to people who are stranded on the road. With over 30 years in the towing industry, you can count on us to have the knowledge and expertise needed to handle your towing, lockout, and other roadside services. 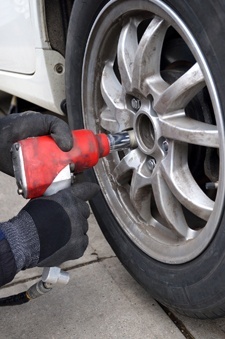 Road Service includes new and used tires brought to you onsite. When you need dependable and experienced towing services, contact A 1 Willie’s Car Care. Whether it’s a dead battery, a flat tire, or a fuel problem, you can rely on us to fix minor issues with our excellent roadside service or to tow it to a place that can take care of your car. Dial (772) 461-1130 to speak with one of our friendly and knowledgeable representatives.